FA Cup Chelsea V Man U Game. As a neutral i was hoping for a really good cup game end to end stuff and a few goals. But that over priced overpaid and over here idiot put pay to that. I don't often feel sorry for Man U but he completely changed the game let his team down and disgraced himself. I would check him out for betting scams because it was so blatant. Re: FA Cup Chelsea V Man U Game. But that over priced overpaid ...... idiot put pay to that. He should of been sent off much sooner. It has big money betting scam written all over it!! Battle of the big hair. That was a hand ball and high knee that wasn't picked up by the Ref. 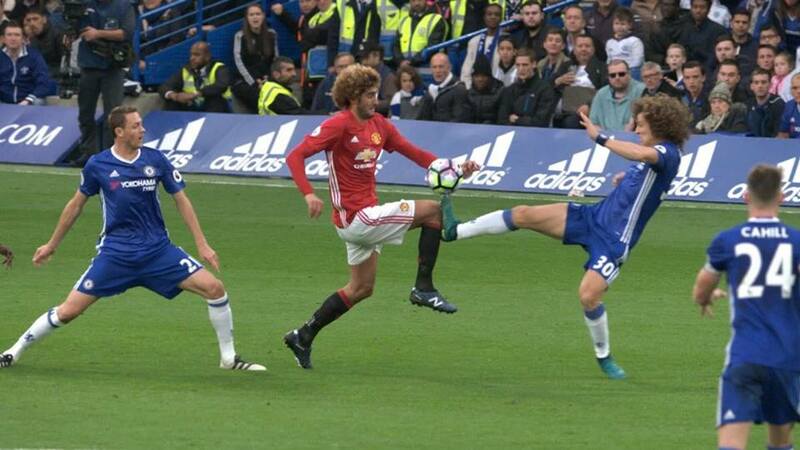 Fellaini is another dirty player.